I have always had a soft spot for Einstein. He died at exactly the same time I was born and unknowingly, until recently, I have been using his quotes all my life. That is sadly where our similarities end, Did I also ever tell you that I quote Sherlock Holmes too……………. Assume a myriad of solutions. An excellent way to start a problem statement is: “In what ways might I…”. This expression is much superior to “How can I…” as it hints that there’s a multitude of solutions, and not just one — or maybe none. As simple as this sounds, the feeling of expectancy helps your brain find solutions. Make it positive. Negative sentences require a lot more cognitive power to process and may slow you down — or even derail your train of thought. Positive statements also help you find the real goal behind the problem and, as such, are much more motivating. Example: In what ways might I package (action) my book (object) more attractively (qualifier) so people will buy more of it (end result)? This entry was posted in Uncategorized on 29th July 2015 by glyncc. I was having a discussion about us Brits, how we always knock success and act with jealousy, I told the story that in the US someone going past in a swanky car would get the “Next year that’ll be me” comment but in the UK its “Why does a Ba****d like that get such a swanky car, and not me, that’s not fair”. It always happens to someone else, doesn’t it? Cancer, Car accidents, hacking, card fraud all have a lot in common – They only happen to other people, not you. Is this arrogance, ignorance or what? The day of the 1987 storm I went to work as usual, I didn’t expect anything different nobody had called and apart from losing the side of my house, the large amount of trees I expected to roll up at our Colchester office and start work as usual. XP went end of life about a year ago and so far not one vulnerability has hit the headlines, so far. I don’t think its a priority for any ne’er-do-well. There are much better pickings to be had from other software that went end of life but without all the fanfares. 2. Choosing the wrong cloud could mean permanent data loss. Of course, most of ” cloud” actually exists at ground-level, supported by many connected servers and other devices which require electricity and protection from the elements. As much as dependability of data centers has increased over time, these server farms are still vulnerable to power outages, sabotage, and natural disaster. Today Microsoft have releases the latest Windows OS, Windows 10, as a free upgrade for most existing users.The main aim for Microsoft is to stay competitive against Apple and Google who are ramping up their offerings for the same audience. Windows 10 is a significant shift in direction for Microsoft and its new leadership and its flagship product. Here’s what you need to know about the latest Windows release. The release date of Windows 10 is today, 29th July 2015 and the free upgrade is valid for 12 months so you need to upgrade within that time. Unlike earlier versions you will have less choice about updates unless you modify the OS itself. It’s important to know if you can handle the deluge of service packs that will come with this new system, You won’t have much time to “settle” into the new service packs before the next one comes. You must be upgrading from Windows 7 or 8.1. Availability of the upgrade for Windows Phone 8.1 varies depending on your devices brand and service supplier. You’ll also need to have Windows Update enabled. There are still the same versions of Home and professional but some are merging so Windows 7 Starter, Home Basic, Home Premium, and Windows 8.1 Home will give you Windows 10 Home. Windows 7 Professional and Ultimate, and Windows 8.1 Pro and 8.1 Pro for Students will get Windows 10 Pro. Any new Operating System has a disruptive effect, there is teething problems when you find out what will or wont work with your system. There is also the time in finding your way around so don’t upgrade during a busy time, if you have a few machines then do one first, followed by the others as you gain experience. Windows 10 is more secure than it’s predecessors so upgrading could bring some added security. If your system is running 7 or 8 then you should be able to run Windows 10 without any major changes. It always makes sense to have the highest specification equipment that you can afford. You might need new hardware to make use of new features such as Windows Hello or the advanced security. Unfortunately, in may cases, new hardware won’t be available until later this year. One of the most contentious aspects of Windows 8 was its tile-based design. Some loved it, while others switched back to the standard desktop view immediately. Windows 10 is aimed to provide the best of both tiles and the standard desktop, and will be optimised for mobile usage. “If you have a detachable keyboard, such as a Surface Pro 3 then Windows 10 will choose desktop mode if the keyboard is attached, and to use tile mode if it isn’t. No new operating system is perfect on day 1 but Windows 10 has gone through some extensive testing and it may well have a faster uptake as it’s free that means more fixes will be available faster. We have been using it for some time but even we do not know all the answers at this stage so bear in mind that anything you want to know wont be available on Google, this is when you find out how good your supplier is with support. Some companies will also not offer support on Windows 10 until they have fully trained their technicians in a few months time. Its available either as an upgrade to existing systems or as an ISO which makes a DVD with a full system. You will need a valid Windows 7 or 8 key to install it on a new system so don’t think you can buy a new system without an OS and install it later. In any case you will need a good Internet connection or a prepared DVD. 12. Is it really free? Yes and no, The upgrade is free for a year and after that it will cost, it is also suspected that in future there will be charges. Premium services and Apps from the store will also be charged for sometimes. If you want to have a chat about Windows 10 then give us a call, we wont charge and everything you are advised is based on our opinion and experience and you will be under no obligation, all we will ask is your name, town and email address. Big business run big servers and have large number of licences but there are more small businesses who contribute more overall to Microsoft coffers but have a small voice. 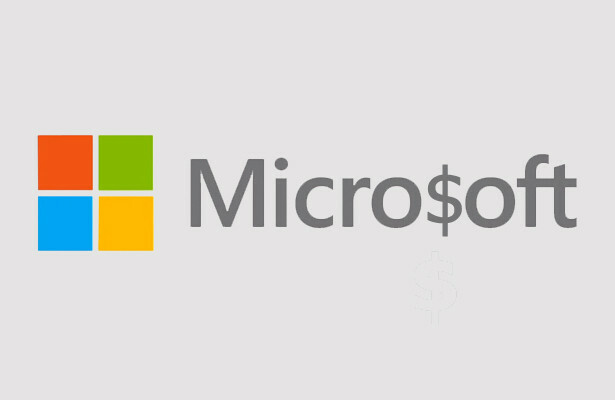 The question is how to increase revenue for Microsoft and keep the shareholders happy. The first action was to remove Small Business Server, this gave small business all the toys the big boys have but for small business, Server, Exchange, SQL etc. at a fraction of the cost. If you want to replace SBS you need to find an extra few thousand £pounds. So finding the extra £thousands is not an option, now being Microsoft you are arrogant enough to believe that you are the only solution. If they cant buy a. from you they will have to buy b. Enter the cloud, ideal solution, monthly payments to spread the cost, what every small business wants and Microsoft assume that you are too busy, lazy or unintelligent to do the maths. So you sign up for the cloud? But I get the latest versions and its available everywhere? In five years, you will get one extra version over the outright buyer and when the Internet goes down or is unavailable you’ve got nothing and all work stops. Just a quick thought, you actually want to write letters and make spreadsheets, you don’t actually want Word and Excel. Why not buy something that works the same for £40 or does the job for nothing? We can supply all of these alternatives or if you insist we can supply Microsoft too, but guess what, Microsoft give us more commission if we sell you the cloud version that the boxed product, now why would they do that, do you suppose? Give us a call and we will show you how to save tons of money with your computing, what do we get out of it? well we make more money by taking less from you and we get a loyal customer too. This entry was posted in Uncategorized on 27th July 2015 by glyncc. If you want to send a hidden message the best place to put it is in plain sight. Those that know me well know that I am a fan of “Wierd Fish” T-shirts with the hidden message and I also get some printed with “in” jokes. I have to take my hat off to Microsoft’s Joe Belfiore. I know it was a few months ago but he was seen wearing this T shirt which looks like its just got a Window10 logo on it. If you look carefully you will see its a series of 1’s and 0’s in other words binary. Binary only has two characters but its how computers store data. This can then be translated into words, its how computers store data. Someone with more time than me, Twitter user Kévin Gosse evidently went through and decoded each pane of the logo to find what was written. Here are the messages. I have a T shirt with the first, its an old IT joke, the punchline is “those that understand binary, and those who don’t”, think about it – binary “10” translates to “2”. The second read out loud ” 7 ate 9″. The next two messages can mean as much as you want them to. So once again, IT is not mundane, it has loads of knowledgeable people who have an innate sense of fun, the rest of those who think they are in IT are just “so unhip, it’s a wonder your bums don’t fall off” – Douglas Adams . This entry was posted in Uncategorized on 23rd July 2015 by glyncc. Lets ignore the environmental debate on this topic, because if you don’t buy it, someone else will. There are sev eral reasons why refurbished equipment makes sense, lets deal with them in order of importance and then we have a real disastrous, heavy warning at the end. Where does all the kit come from? There are two main sources, some companies like to change their IT every so often, like 18 months. Why? If you are the leading edge of technology you don’t want your guys to be seen using out of date equipment. I has to be the best for some companies. Other sources are short term contracts. If you want a building site for a project you hire a on on site portacabin with the latest kit and when the projects over back it all goes to be refurbished 6-12months later. You have a simple monetary choice when buying, you buy the best or the cheapest, Buying refurbished lets you buy the best there was 18 months ago at the cheapest price now. The only penalty is its no brand new. Buying the cheapest now will get you rubbish performance, low usable life and poor reliability. You can get a £1,200 Lenovo for around £400. That’s like getting a 2 year old Jaguar for £8K instead of £32K. The current Apple 27″ 5K retina display system is £1,999 new, you can save £700 by buying last years model or nearly £1000 for the year before. On the word of reliability there is a school of thought that says buying refurbished means better reliability as the problem new units have been removed. We don’t really agree with that as IT equipment is pretty reliable but the first six months is when the failure happens so you will definitely miss that problem area. No it isn’t, but its not far off. The ideal processor for business in either an Apple or PC is the Core i5 by Intel, thankfully AMD, virtually the only competition, seems to have disappeared from the market and that is an old discussion. The i5 has been around for six years, there have been four generations since it was introduced in 2009. The difference between the latest and the previous generation is not that great and the one before was also marginal. Only the first generation is now really out of date. So either Generation 2,3 and 4 will give you a good all round business system. Its like getting a faster instant coffee- not that important but better tahn starting with just beans if you are in a hurry. Usually the machines are still in warranty but all the Lenovo’s and Apples we sell come with a 12 month parts and labour cover. We sell the extended warranties but its your choice, the machines are at their peak of reliability but there is always one, and you might v=be the unlucky one. Two years cover for an Apple iMac is £175 but it could cost you that just for a faulty keyboard. With a laptop that’s a motherboard replacement. Everything or nothing. Some people just wipe a machine and do a re-install and call it a refurbishment. We clean inside and out, replace anything that looks suspect so it doesn’t break down in use and then we grade them A as good as new, B slight imperfections, or C, scratches and marks. The batteries are tested to hold a charge for 24 hours. Don’t buy a brand that doesn’t have a good spares reputation, this includes Dell and Sony. We have seen refurbished machines that are insurance write offs’ from things like water damage which are coaxed back to life with a 3 month warranty, only they fail and screw up your data down the line. Beware the non-official refurbish-er, all our systems are refurbished by either a Microsoft or Apple refurbish-er. We have seen pirated software on these and you are liable. They also install software that wont run correctly on that model. The parts might not be genuine. We have seen some Apple systems with 8Gb of RAM which was not the right type and had also failed as it was cheap. The right RAM worked faster but cost more. Beware of preloaded malware. We had a system in for repair which was bought from a shop in Colchester. whoever “refurbished” this loaded a key logger in a hidden file that sent data to a website. It’s easy for that to copy the credit card details that are typed in and send them off to be used by criminals, it was such a localised program that the AV solutions would not find it but we susoect it had been going on for years so we dread to think what they had collected. We always check our systems and load trial AV and anti malware. Everyone who works at CMX has a used Lenovo laptop, even me, and my wife has just moved from a desktop machine to a used Lenovo laptop to replace the tablet that she has decided to abandon. The Lenovo I am after is the one with an i7 and touchscreen with handwriting recognition at £900 its better than new at £2000. I don’t really need it but you may have noticed I have a PhD and a requirement of a doctorate is that you develop atrocious unreadable handwriting and this model can read it better than I can! This entry was posted in Uncategorized on 17th July 2015 by glyncc. As the Greeks are topical at the moment I thought I would start with the thoughts of Sophocles. Finding the right advice is not costly but the wrong advice is really expensive and I am recommending someone else! We are often asked about things like Websites, SEO or communications, as in telephones. This often occurs because many IT companies “dabble” in these areas without being experts. Although we started as a company that sent data over telephone lines in the ’70’s we know the difference between “Doing” and being an expert. Anyone can make a web site but it takes the knowledge of an expert to design it, make it work and get it seen. That’s enough of a job for anyone. Our guys at cmx could probably become experts at it but its a time bandit and it isn’t what we do. The reason? for example with all respect to car mechanics its cheaper for us to pay you guys to service our own cars rather than take time out the working day to do it ourselves. Its like that with telecoms. It used to be that you would phone up BT get a few normal “phone” lines and hang a phone off the end. We know a lot of businesses that have come a cropper still thinking life is that simple. The BT salesman ends up extracting £6K for ISDN lines or VOIP be selling the “honest guv, its only few pounds a week routine”. We know of a few firms who have been sold totally inappropriate kit. For example a company had all the big toys in terms of telecoms but wanted to relocate to a home office with three lines. The quote they received from BT was in excess of £3,000 a year. All they wanted was to make outgoing calls from three people. We talked to them, they added a line to their existing arrangement added an Orchid phone system and three phones, total cost £400 for the equipment. We don’t do “Telecoms” but we know how to add a few lines and a basic system onto the wiring we install for computers. If you want proper phone systems and proper communications then don’t talk to BT, Virgin, Talk-Talk, Sky they can only sell you their products and the more the salesman can rip you off and tie you in the more commission the sales person gets, not the best basis for Trust and a decent recommendation. The long deceased MD of CMX whom I replaced was a wise guy and I cherish a lot of his motto’s and as the text at the top says “Don’t base your decisions on the advice of those who dont have to deal with the results” was one of his. We often get caught up in the, “Do you do phones?” question, immediately we can tell if our 4 lines and 16 extensions is suitable or not and we never recommend the other equipment “that we can get hold of” because its not right for the customer and breaks our ethos of being IT experts not “jack of all trades”. Instead we turn to another expert and pass it to them, sometimes its just a question of what is best for a client but we are happy to hand over all the clients needs to these people who we know, like, and above all trust. One of the questions I recently asked them was regarding one of our biggest clients and the advice was confirming what their own people had said, when I mentioned who this was and they did the decent thing as said oh they are good and if he is dealing with them, stay with him. I trust that advice, I know all the reasons, which I’m not going to share but they were good and again, ethical. I trust people who do that. The choice is now staggering and I know many people who have installed VOIP to save money but they get inundated with false calls, The people who install ISDN for no good reason apart from they were sold it and the expensive stuff that goes with it. If you are looking at phones for your business then talk to a whole of market expert, they need to get you the best deal so that in five years time, its still a good deal. We have a rule at cmx of “prove the need”, one of the ways you can do that with comms is to add up all the costs including calls in and out, yes incoming calls can cost you too, for a five year period, if you need a sit down when you see the figure then don’t do it without talking to an expert first. Don’t forget good advice is often free, its bad advice that really gets expensive. Talk to Sam O’Doherty at Ocean telecom 01284 729 869 and tell him I sent you. On that topic before we disappear we were talking about BT a short while ago and they never cease to amaze us how they can screw anything up even if you plan for all eventualities, that’s why we like to deal with a UK telecoms company who deal with BT in the UK rather than the customer arranging everything through the nice people of India, I mean nice people, its their job and its not their fault they speak English and not talk it, there is a difference. Anyway, the ultimate screw up happened at one of our clients, they organised the comms to be installed three days before they opened. We had installed all the IT for the engineer to do the broadband next day. The engineer rolled up but unfortunately he could connect the broadband as the phone lines hadn’t been installed. The delay was an extra two weeks, HOLD THE ADVERTISING, MAGAZINES, OPENING PARTY, WEB SITE, LEAFLETS WE CANT TAKE CALLS OR E-MAILS, what a cost for all that hassle and missing launch dates! Should have talked to Sam at Ocean Telecom, he would have been on top of it every step of the way, how do we know that? Did I mention he is an expert in telecoms, which we, BT sales et al are not, and I know like and trust him and his company. This entry was posted in Uncategorized on 2nd July 2015 by glyncc.